A rough idea is the foundation of even the most successful businesses. Transforming innovative concepts into a reality often forces startups to run with minimal resources. SLO entrepreneurs know how to make things work on a budget. We’ve provided a list of 20 things you can do in SLO for $20 or under this summer. Pull from the activities below and make high-priced memories on a bootstrap income. Support our local farmers and enjoy fresh fruits, veggies and artisan goods at the market of your choice this summer. Munch on corn-on-the-cob while taking in the sound of vendor chatter and eclectic instrumentals. To pinpoint your favorite merchants and place your orders at farmers markets around SLO County, download the Arkitu app courtesy of our CIE incubator company. Calling all music lovers! Concerts in the Plaza are officially in session every Friday outside the Mission San Luis Obispo de Tolsa from 5:00 p.m. to 8:00 p.m. Genres range from Vintage Blues to Gypsy Folk Rock. All ages are welcome, but those 21 and over can fill up a commemorative Concerts in the Plaza pint for $10. Come explore one of SLO’s most renowned landmarks! 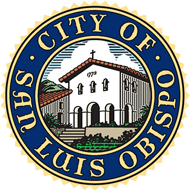 The Mission San Luis Obispo De Tolosa offers free, docent-led tours Monday through Saturday at 1:15 p.m. and Sunday at 2 p.m. Founded in 1772, this Spanish mission is located right in the heart of downtown SLO. Take a trip from the early 1930s to the present day. The Morro Bay Skateboard Museum’s collection of over 200 skateboards showcases every era in the sport’s history. Stop in and explore the evolution of skateboarding. Warm summer nights in San Luis Obispo might be best spent tuned into a double feature at the iconic Sunset Drive-In. New films play seven nights a week at this charming outdoor theatre for a ticket price of $9. If you’re an early riser, swing by on Sunday mornings for a swap meet of goods and vintage knick-knacks. Wander through downtown SLO on the first Friday of every month to ponder the work of local artists. Beginning at 6:00 p.m. and wrapping up at 9:00 p.m., Art After Dark is a wonderful way to experience SLO culture and community. 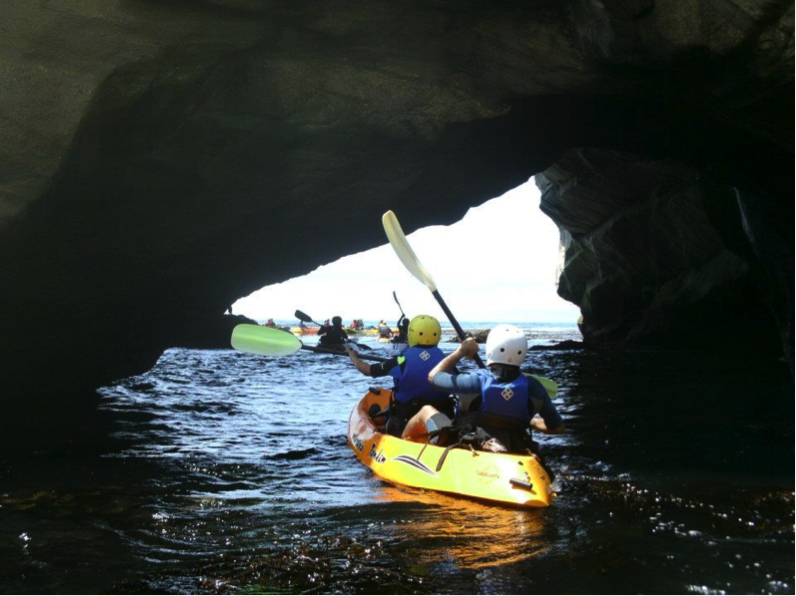 Hit the glassy waters of Shell Beach with the help of Central Coast Kayaks. Spend $20 for an hour of beautiful rock formation and aquatic exploration. Rentals open at 9:00 a.m. so bundle up for a tranquil paddling experience. Spend the day catching waves on the shores of Pismo Beach for $20. Full-day surf and boogie board rentals are available at Pismo Beach Surf Shop. Enjoy chasing waves and swimming out to sea on a budget. Slip into a wetsuit to combat the Central Coast chill for an extra $10. Test your balance with an hour of paddle boarding around Morro Bay’s four miles of smooth waters. If kayaking or surfing isn’t for you, stand up for $20 an hour paddleboarding. Home to dozens of species, the Central Coast Aquarium in Avila Beach offers visitors a hands-on approach to marine appreciation. Take a few hours to meet a giant Pacific octopus along with sea stars, rock crabs, smooth hound sharks and a gumboot chiton. General admission is $8. Walk up to a flamboyance of flamingos this summer at the Charles Paddock Zoo in Atascadero. Hundreds of species call this zoo home. Come give a warm hello to animals ranging from a Malayan tiger to the colorful Gila monster for the price of $7. Get in touch with your inner treasure seeker on the shores of Moonstone Beach in Cambria. Hunt for rocks and enjoy the sight of harbor seals sunbathing on the coast. Venture downtown for an array of antique stores finds and grab a lunch to remember in The Cafe’s succulent garden. Bring your sea legs for a cruise around Morro Bay Harbor. Otters, sea lions and schools of jellyfish welcome you to climb aboard a Sub Sea Tour this summer for $20. Narrated tours last 45 minutes and offer below deck views of the harbor. Drive north for a self-led tour of the Piedras Blancas Light Station, a historic park and wildlife sanctuary. The light station is open to all hikers from 10:00 a.m. to 2:00 p.m. on July 25 and August 29. Click the link for more information on hiking guidelines and directions. Grab a sandwich from your favorite local deli and fill up your hydroflasks. Once you climb to the top of Avila Ridge, this steep hikes ocean views will keep you enjoying the sights for hours. Indulge in a picnic this summer at the top of one of SLO’s natural wonders. Join SLO’s climbing community with a $ 15-day pass to the Pad Climbing Gym. Enjoy a work out at your own pace at this indoor rock climbing center. Plan your visit during staff hours from 11:00 a.m. to 10:00 p.m. Hop on the phone and book yourself a private mineral hot tub under the stars in Avila. Sycamore Mineral Springs Resort and Spa provides a therapeutic outdoor experience for $15 a person Monday through Thursday. Rates rise to $20 a person over the weekend. Fresh produce and delicious baked goods are waiting for you at Avila Valley Barn. Slurp up some homemade ice cream before catching a hayride this summer. This homestead offers fun for all ages with charming goodies and a petting zoo. Take a trip to Big Falls Trailhead in Arroyo Grande for a serene waterfall vista. Close to four miles in and out, this brief hike yields a serious reward. Enjoy the natural sights but watch out for poison oak on your stroll towards roaring waters. No late night snack can beat an oozing marshmallow stuffed between graham crackers. Break out some kindling for a summer bonfire on the shores of the Oceano Dunes. Driving your car onto the sand costs $5, but entry is free for those willing to carry their wood onto the beach from the street. Beach hours are limited to 11 p.m. in Pismo and Grover. 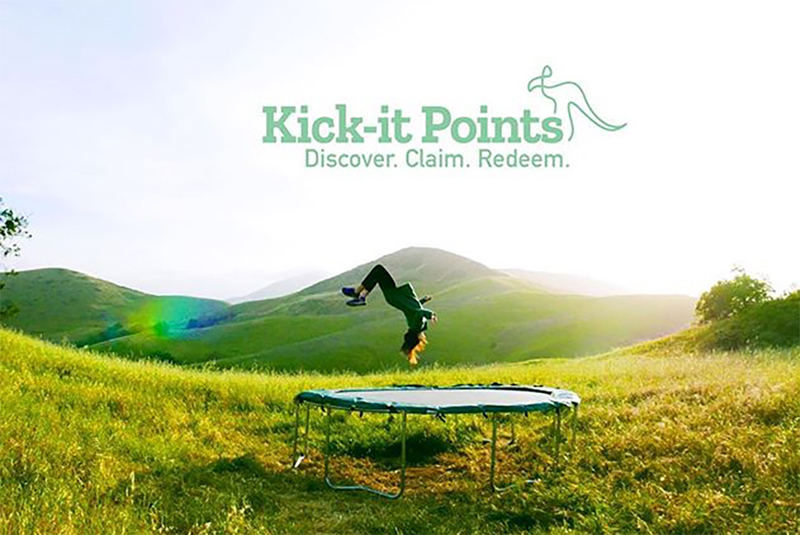 Enjoy the entrepreneurial lifestyle on the Central Coast this summer without breaking the bank! Lack of funds can’t hold our innovators back from embracing the SLO entrepreneur lifestyle. Everyone loves traveling, adventuring, relaxing and sightseeing, but taking the time off can be daunting. Between school, work and day-to-day responsibilities, finding the time to break routines simply isn’t a possibility for many. Luckily for entrepreneurs living and working in San Luis Obispo, the central location of the city not only makes it possible to make the most of the weekend without compromising responsibilities but easy too. Whether you can only afford a day trip to relax and unwind, or would rather take a long weekend to go on an adventure, there is a perfect weekend getaway around San Luis Obispo for you. 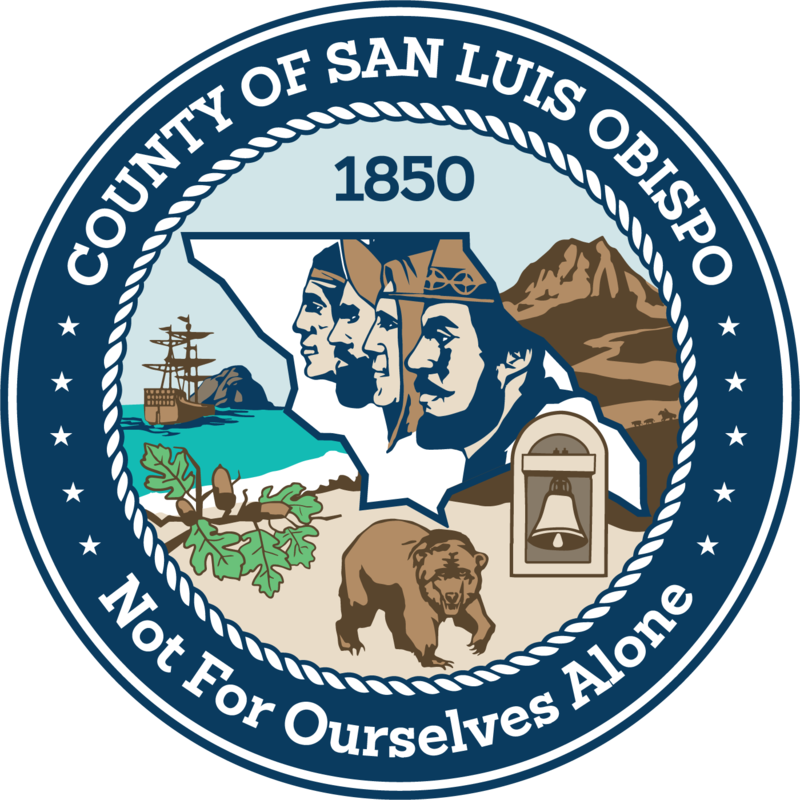 The endless opportunities to break everyday routines without breaking the budget or taking too much time away from the office or studying is one of the many perks of choosing San Luis Obispo to launch a startup. 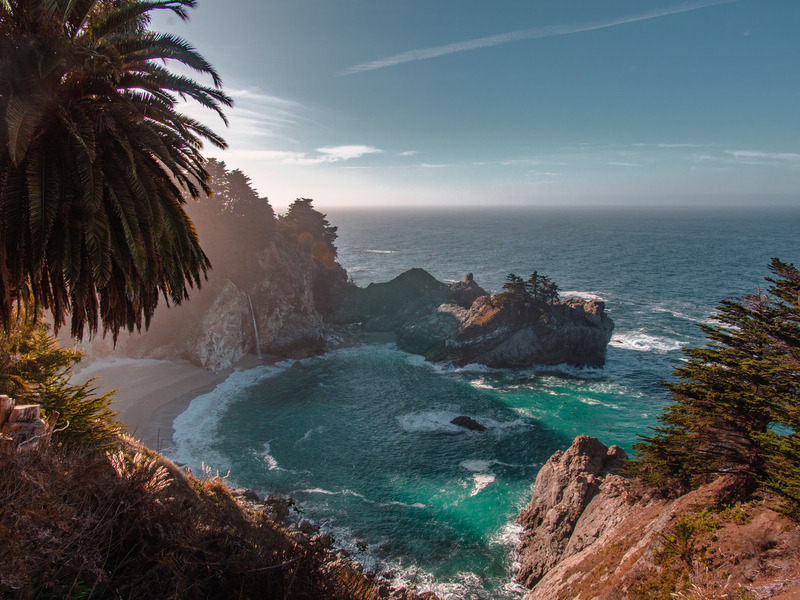 Big Sur is one of the most awe-inspiring coastlines along the Highway 1. The road wraps and winds around sheer cliffs on one side, and lush mountains on the other. The southernmost entrance to Big Sur is only a scenic hour of driving away from Downtown San Luis Obispo. The farther you drive in, the more campsites, day hikes and backpacking trails appear. The recent landslides made it a little tricker to enjoy Big Sur, but many adventures remain possible. For example, there are sites open to the public at the South entrance of Big Sur directly before the road closure that make for excellent day trips. Salmon Creek, only an hour away from Downtown San Luis Obispo, offers six miles of hiking trails, as well as an impressive 120-foot waterfall only about five minutes from the side of the road. For a long weekend camping trip, it is possible to drive up Highway 101 and access campgrounds via Nacimiento -Ferguson Road. Everyone knows about Yosemite National Park, but a lot of people don’t realize how close it is to San Luis Obispo. In less than four hours, travelers coming from Downtown San Luis Obispo can make it all the way to the world-renowned National Park to enjoy the awe-inspiring cliffs, waterfalls, lakes, and wildlife. 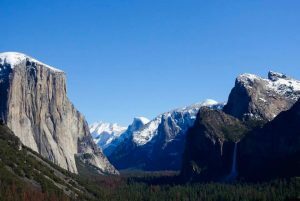 With lots of low-cost camping opportunities, endless hiking trails, and climbing walls, and only a $30 entrance fee, Yosemite makes the perfect weekend getaway for anyone with an adventurous spirit. In only three hours, weekend warriors looking to explore the outdoors can make it to the lush Big Basin National Park. Visitors to the park can surround themselves with Red Woods, hunt for banana slugs, and explore more than 80 miles of hiking trails. Big Basin is California’s oldest National Park, offering historic landmarks including redwoods that date back to the Roman Empire. At only $10 to enter, Big Basin National Park offers an affordable destination to enjoy sightseeing, hiking, backpacking, bicycling and camping, all within the span of a long weekend. 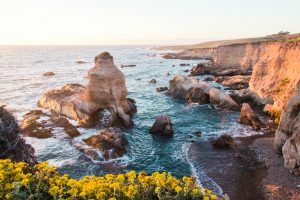 Lucky for those living in San Luis Obispo, their beautiful home offers many “staycations.” Montana de Oro, renowned by many as the mini-Big Sur, is a coastal State Park located just minutes from Cal Poly campus. Offering a rugged coastline, serene beaches, and miles of hiking trails with views of Morro Bay, MDO makes for the perfect day-trip or camping location for those in San Luis Obispo that want a low-stress weekend getaway. Entrance to the park, hiking trails, and beaches is free, but make sure to make a reservation in advance to go camping. The Oceano Dunes bring desert action sports to the San Luis Obispo coastline. From motocross to dune buggies, the State Park offers an ecologically and geologically unique playground for off-highway enthusiasts. 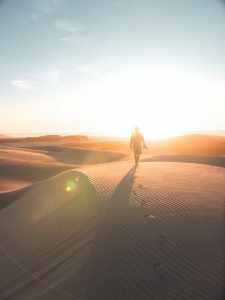 People from all across the United States visit the Oceano Dunes every year, but luckily for those in San Luis Obispo County, the opportunities for off-roading, surfing, swimming, hiking and more are less than 40 minutes away. 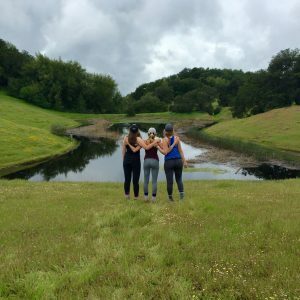 Dusted with wildflowers in the Spring and home to the largest array of open spaces in a State Park from Northern California, Henry Coe State Park makes for a serene weekend adventure only three hours from San Luis Obispo. The park is known for its varied, rugged and beautiful terrain of lofty ridges and steep canyons. The rolling, green hills are open year-round to backpackers, hikers, car campers, mountain bikers and equestrians. 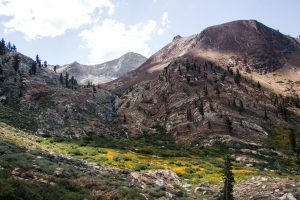 With lush forests to explore in the warm months, and rugged, snow-covered winterscapes to snowshoe through in the winter, Sequoia and Kings Canyon National Parks offer dramatic landscapes within three and a half hours of San Luis Obispo. Whether travelers wish to car camp and day hike or backpack amongst the redwoods, these National Parks are sure to leave any visitor dazzled by the grandeur of the wildlife in the area. Yet another magical staycation is San Luis Obispo County, Hearst Castle offers travelers an opportunity to explore history in one of the most decadent, luxurious homes in the United States. Visitors to Hearst Castle have the opportunity to take tours all throughout the mansion, among the infamous gardens, and learn about the history of the Hearst family and their many heirlooms at every step of the way. In addition to the castle’s beauty, the views of the rolling hills and expansive ocean only add more sensation to the space. Only 45 minutes from the Cal Poly campus, Hearst Castle makes for an excellent day trip weekend getaway. From Paso Robles to Sea Canyon, San Luis Obispo County is home to many state-of-the-art wineries. For those who would rather spend their weekend enjoying the finer things in life than roughing it in the wilderness, wine tasting in SLO-local wineries may be the perfect weekend getaway option. Visit THIS article to create a game plan for visiting all of San Luis Obispo’s greatest wineries in only two days. Another weekend getaway in San Luis Obispo County to help relax after a stressful work and school week is the Avila Hot Springs. This natural gem-turned-spa allows visitors to soak in the warm, mineral-laden water. Mineral water has been used therapeutically for hundreds of years and is said to be useful for a number of injuries and ailments. Better yet? The Avila Hot Springs are only minutes from the beach. Take a load off and rejuvenate, followed by a relaxing day sunbathing on the soft sands of Avila Beach. In San Luis Obispo, entrepreneurs find it easy to work hard during the week and play hard during the weekend. With some of the most beautiful natural wonders in the world within only a few hours of the town and campus and many opportunities to relax and unwind in the county itself, there is no excuse not to get outside this weekend and every weekend. Let the weekend getaways commence! If you are interested in starting a business in San Luis Obispo County, learning more about becoming an entrepreneur or just need help with an existing business, find out how the CIE can help you be successful by visiting www.cie.calpoly.edu. ObserVR is a virtual reality analytics platform. The company provides data-driven insights to power truly immersive experiences. ObserVR’s analytics capture behavior, analyze engagement and fuel growth. They analyze consumer data in order to help VR companies improve in-app functions and keep users engaged. Check out our video blog for the inside scoop on ObserVR. Click below to meet CEO, Lucas Toohey; COO, Justin Cellona and CTO, Jacob Copus; and learn how they are changing the VR industry.